Duration: 4 hours on the short loop from Valdemossa, same onwards to Deia, 5 hours on the large loop. 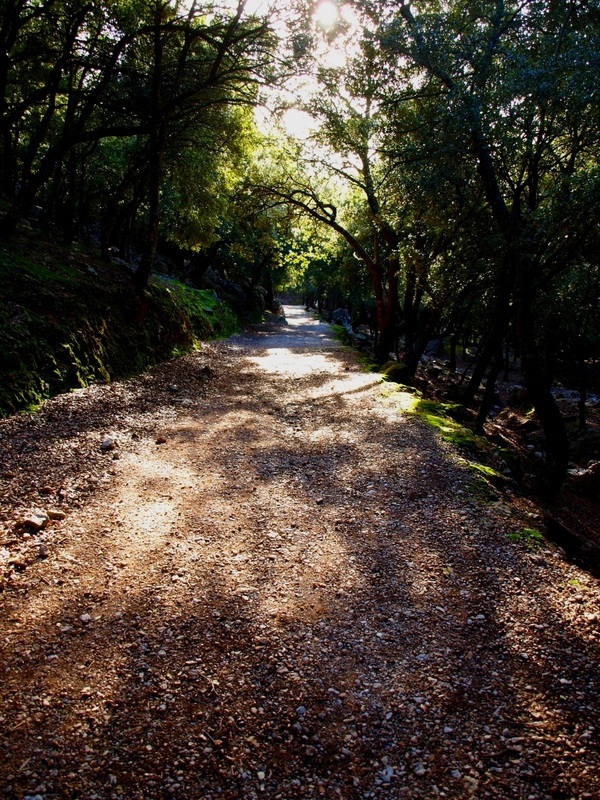 This is a hugely popular walk out of Valdemossa, leading to an impressive dry stone path along the ridge between Deia and Valdemossa. 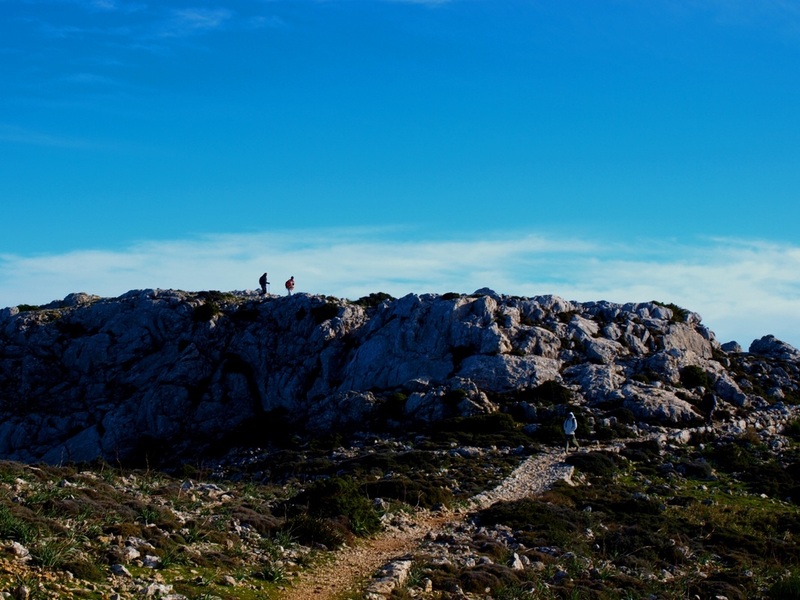 The path was built in the late 19th century at the demand of the Archiduc Luis Salvador, for no other purpose than to offer an easily walked route along the mountain backbone whilst enjoying amazing views over the north western coastline. It is possible to go down from the ridge to Deia along a fairly easy footpath, part of the GR221, though most people will opt for a loop walk from Valdemossa. Although the hike is very popular, a map is still required as path junctions are in many cases not sign posted. In fact the two possible starting points in Valdemossa are difficult to find. Follow the map here after. Warning: the north side of the ridge often traps clouds in intermediate seasons, cutting off all views. It is absolutely pointless to walk the Cami de s'Archiduc in these conditions, as it is the views that make the effort worthwhile. By Bus: Service 21O runs between Palma and Soller via Deia and Valldemossa at least six times a day. 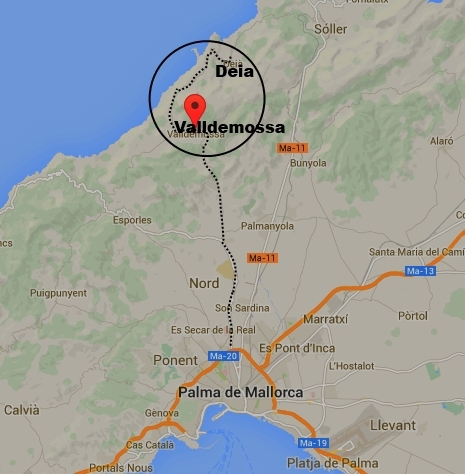 By Car: Valdemossa is less than half an hour from Palma; Deia is a further 20 minutes away. Parking in Valdemossa is expensive in the car park, but you can park on the streets close by the starting off points. 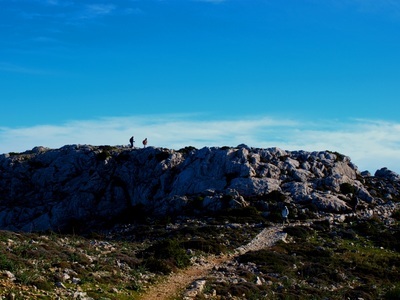 The walk is described from Valdemossa in a clockwise circular loop. 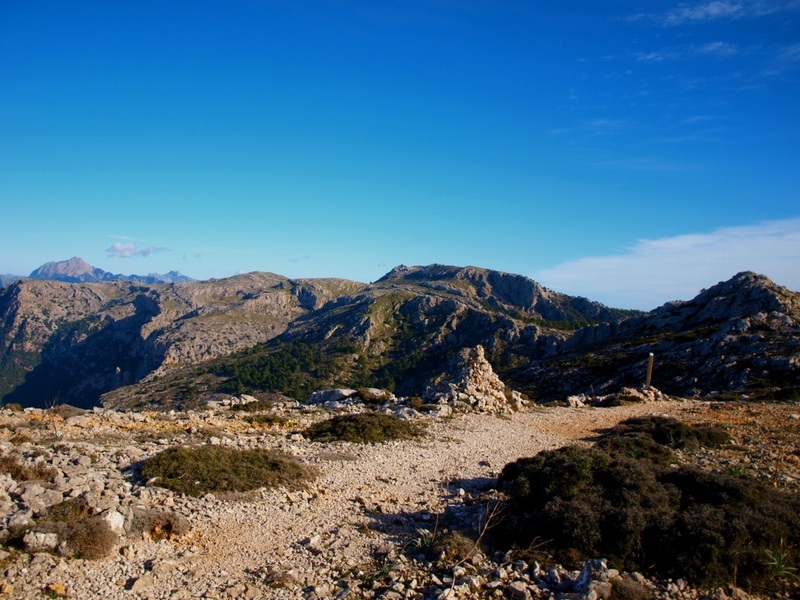 There is no specific reason for this as it is equally pleasant either way, though those pushing on to Deia will probably climb up to the ridge along the western trail. 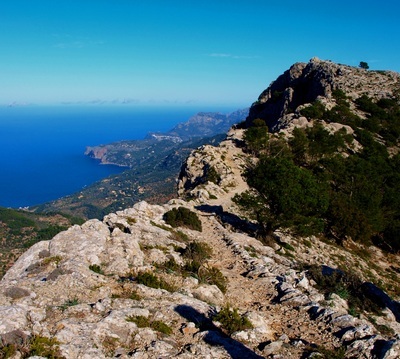 Start off from the top of Valdemossa along a well defined wide trail leading you up through an oak forest to the Pla des Pouet. There is a turn off to the right straight after a boundary wall as you reach the Pla, which is an alternative rout to the Pla des Anges. Ignore this, and push ahead till you reach a large cairn and the remains of a charcoal production settlement. You either turn to the right to get straight to the Coll de son Gaillard, or follow the longer (+45 min) path straight ahead to the top of Taila Vella, via the mirador de ses Puntes and up to the top of the hill crowned by a small chapel. 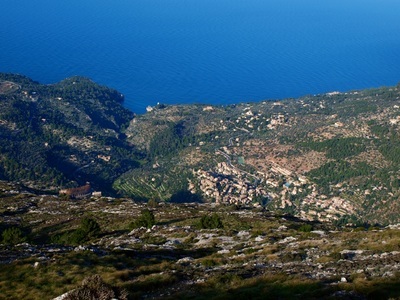 The Cami de s'Archiduc proper starts at the coll and follows the ridge eastwards offering exceptional views over Deia. From the coll it is also possible to go straight ahead downhill towards Miramar and the Hotel El Encinar on the Valdemossa to Deia road, reached in more or less 1 hr. 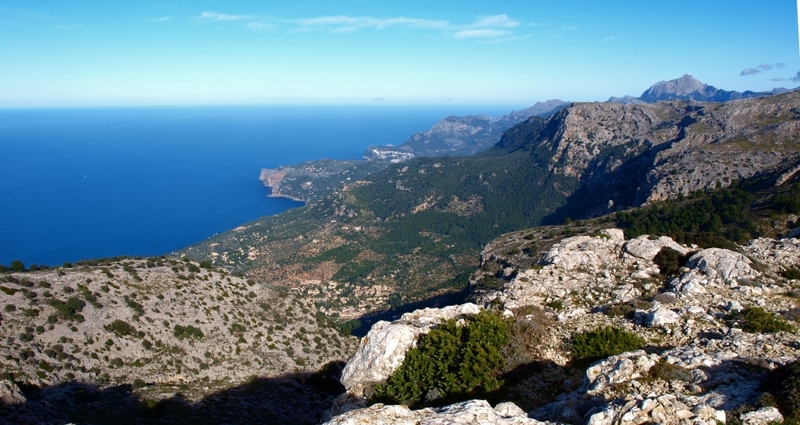 After walking the ridge eastwards for 30 to 45 minutes, a signposted turn off to the left leads to Deia proper, going steeply down on the western slopes of the Deia mountain amphitheatre, with great views. 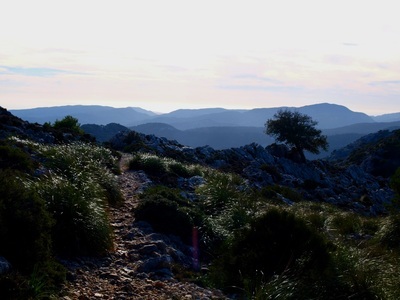 Most will push along the Cami de s'Archiduc, remaining on the ridge, passing flatter area popular with campers (Pla des Anges), reaching minor summits along the way and progressing towards the Teix mountain with its very visible boundary wall. 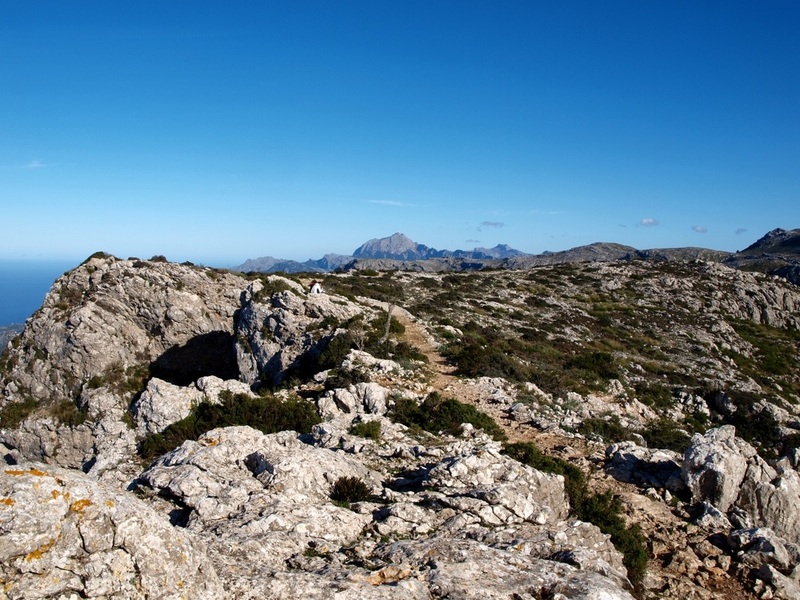 An hour to an hour and a half later, you will reach the last intersection on the ridge marked by a large cairn, with a trail leading to the right towards the Teix summit itself. Keep straight ahead and the trail will soon start to wind its way down towards the refuge des Carrats, a small hut usually locked. From the refuge take the driveable track leading steeply (very steeply) downhill towards the Finca de son Morragues and Valdemossa proper, reached in about an hour from the Teix intersection. You can download a printable PDF of this route here.